A stunning beaded mirror with antique effect detailing. Crafted from a hardwood frame with resin moulding, this pewter mirror consists of beautiful bevelled glass, adding elegance to any room. The mirror can be hung in either portrait or landscape orientation. 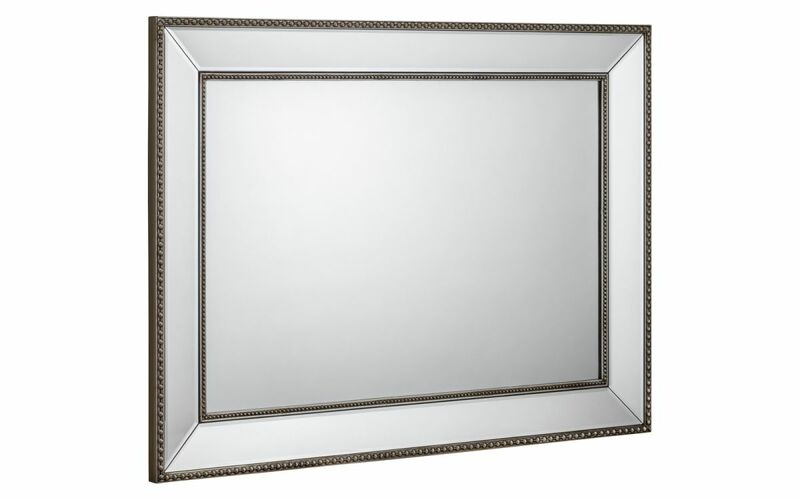 Crafted from a hardwood frame with resin moulding, this pewter mirror consists of beautiful bevelled glass, adding elegance to any room. Coordinating with a wide range of Julian Bowen furniture.